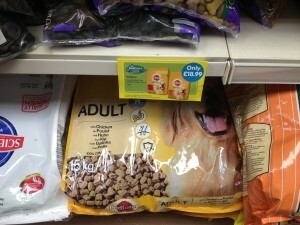 Last few bags of this months pet shop Gloucester dog/cat food offers left. Get them whilst we still have a few in stock. Once they are gone they are gone. 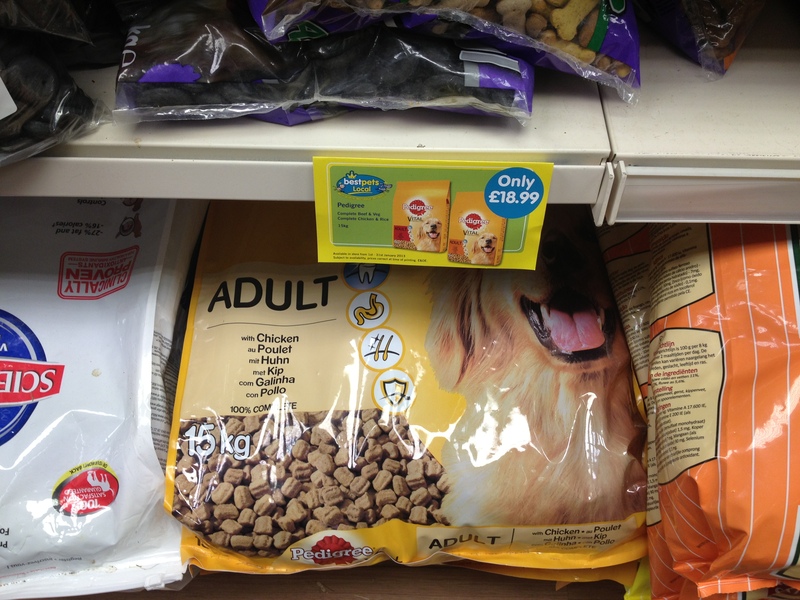 Don’t forget if you live near our pet shop Gloucester this comes with FREE delivery. Wash your animals feet ! During this cold snap a lot of rock salt will be put down on the roads and paths. Dogs and cats will walk in the slush created and being generally very clean animals will want to wash this off with licking when they get home. In extreme cases (around 250 a year) this can prove fatal. Salt dehydrates an animal, it can also caused burns around the mouth. Acute ingestion of high amounts of salt will lead to kidney failure and death. On top of this many drivers will use de icer containing anti freeze. This is highly toxic. Cats will walk on the cars and dogs will walk in the slush. Again, they will wash this off by licking. Ingestion of anti freeze will cause lethargy, vomiting, fits and possibly death. If your animal goes out in the ice and snow, especially near paths and roads, make sure you thoroughly wash its feet afterwards to prevent any problems. I suspect those that have died have been allowed to just come in and dry naturally somewhere where thay have then ingested all the salt and/or antifreeze that has collected on their paws and fur. It is your responsibility as the owner to protect your animals from the hazards we put in their way. You wouldn’t pour a pot of salt in your pets water bowl but how many of us allow them to walk in with just as much salt on them ready to be licked up? Pet shop Gloucester OPEN despite the snow. 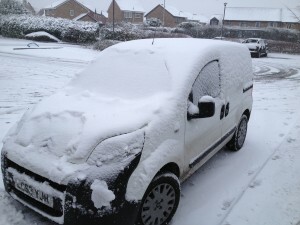 We have had so many calls to our pet shop Gloucester this morning asking if we are open I decided to post it here. Most of our staff have made it in and we are OPEN until 6pm this evening. On top of that, if you can’t get to us and need a large item from our pet shop Gloucester then we will endeavour to get to you for FREE local delivery. Give us a call at our pet shop Gloucester and we will have a look at you location and do our utmost to get your goods to you. Mitcheldean Mutts are holding an online photo show to raise money for a Kenyan Orphanage. We are sponsoring two of the classes ” Most unusual friend” and “most handsome dog”. I have the dubious honour of judging as well. Go to their Facebook page to enter your photo. Just a bit of fun in the name of a good cause.